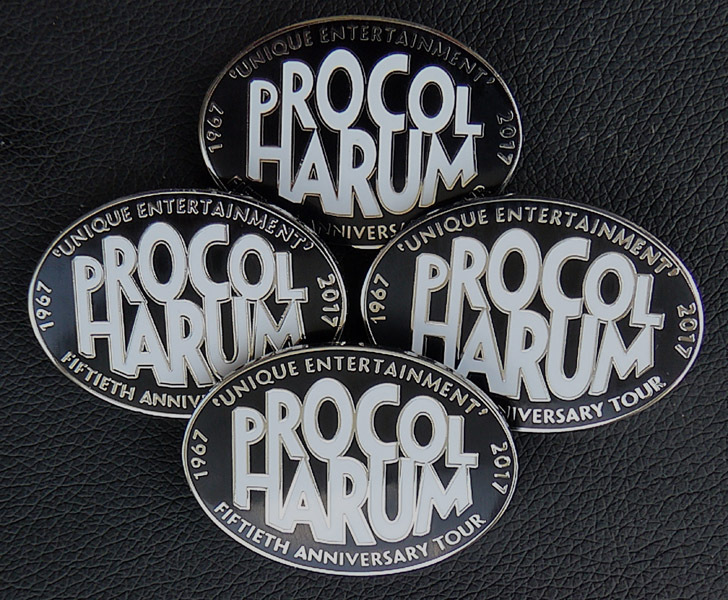 The Fiftieth Anniversary Badges for Procol’s European tour – black and white hard enamel, brass and nickel silvering – are very tasty indeed, and completely sold out, all 800 of them. For the winning number ... and the name of its lucky owner ... scroll to the the foot of this page. 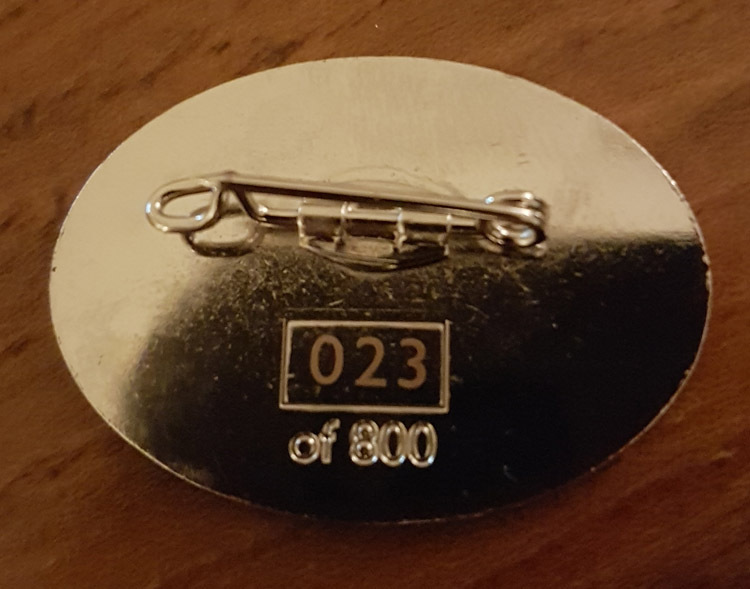 Gary Brooker MBE chose a number at random, and the owner of that lucky badge wins a free copy of the forthcoming Fiftieth Anniversary Procol boxed CD/DVD set from Esoteric Records … signed by the whole band. Read on to find out what the number is. If you have the lucky badge, send a photograph of it it to ‘Beyond the Pale’, and we'll guide you through the rest of the process. Esoteric Records will send you with your signed Fiftieth Anniversary boxed CD/DVD set when it’s available. Thanks to Esoteric Records and Gary Brooker for this fantastic Fiftieth Anniversary promotion! Gary's verdict (the winning integer drawn by hand from numbered slips of paper): listen here. The lucky winner is Ms Christine Ayre, from London, England ... who bought her badge (pictured, above) at the Paris gig.